There is a dark side to Purim, that upside-down, downside-up festival of masks and laughter. To inoculate us in advance against the break-through of that dark side, the rabbis long ago prescribed that the day before Purim would be the Fast of Esther, drawing us from dawn to dusk into a world of inner contemplation. In a moment, below, you will see an invocation I propose for the Fast of Esther, to strengthen its healing in our day. Yet the dark side broke out 25 years ago and again in the last few weeks. On Purim twenty-five years ago, a follower of the racist and murderous “Rabbi” Meir Kahane murdered 29 Muslims prostrate in prayer in the Tomb of Avraham/ Ibrahim/ Abraham, our shared Father and Founder. The Kahanist murderer chose Purim quite deliberately, for reasons we will explore below. Just this past week, the Prime Minister of the State of Israel honored the followers of Kahane by greatly easing their path for election to the Knesset. Though the Attorney-General of Israel urged the Election Commission to bar the Kahanist party from the election campaign, in accord with the law prohibiting racist parties, the Election Commission refused. To emerge from My Mystery. But then you betrayed Me. While they reached out to Me. On this day of rejoicing. My Name on this day. take its Place in the Scroll. at last will be one. to the Days of Messiah. 1. Spiritually, perhaps the most important “background” is this: The Name of God does not appear anywhere in the Scroll of Esther. It is hidden, and the Hebrew of “hidden” is nistar. Esther’s own “name,” so close to nistar, echoes that her true name, Hadassah, is hidden in the story. 3. The story weaves together two jokes of the same genre: The anti-hero keeps slipping on the banana peel he himself has tossed on the ground. The pompous, stupid king gets the tale going by insisting that no woman is going to tell him what to do. His insistence creates precisely the result that he does exactly what his Queen Esther tells him what to do. And his evil prime minister sets out to bring about the genocide of the Jews in his realm, including the impalement on a gallows of their leader, Mordechai. By thus over-reaching, he brings about his own impalement on that same gallows and the destruction of his political party. 4. Chapter 9, verse 16 of the Scroll of Esther says that after a day of successful self-defense from those Persian terrorists who had prepared a genocide of the Jewish people, the Jews killed an additional 75,000 Persians. The greatest moral and ethical danger in the story is that some will read it as history, not satire, and will read its excesses as instructions — especially the tale of this massacre. 5. Inspired by this passage of massacre, on Purim 25 years ago, an American-born Israeli Jew grotesquely named “Barukh” (“Blessed”) Goldstein, committed mass murder. 6. Rabbinic tradition teaches that on Purim we should get drunk or “mellow” enough to the point of not deeply knowing (“ad lo yada,” not grokking) the difference between “Barukh [Blessed be] Mordechai” and “Aror [Cursed be] Haman.” (Haman was the genocidal arch-villain of the story, and Mordechai its co-hero.) The rabbinic teaching was intended to move us to lift ourselves — to get high – to ascend — beyond collision into a world of ultimate Unity. But Goldstein, who thought he was “Barukh, “Blessed,” actually got drunk on blood, not alcohol, and dragged himself down into the abyss where he became not Barukh, Blessed, but “Aror,” Accursed. 7. There is an old rabbinic pun: Occasionally, in Hebrew, the Day of Atonement is called Yom HaKippurim. Someday, the Rabbis said, Yom HaKippurim would become a Yom Ha K’Purim, a day like Purim. When Mashiach comes, they said, the day when we need to atone for our sins would dissolve into a day like Purim, a day of joy and laughter beyond sin because all sin would be transcended. Of all the holy days, they said, only Purim would become so transcendent that it will still be celebrated after Messiah comes. But the equation is also true in reverse. There must be an element of Yom Kippur in Purim, and that element is the Fast of Esther. 8.The Rabbis instituted Taanit Esther, the Fast of Esther, on the 13th of Adar. That was the very day, according to the Scroll of Esther, that the revenge massacre had taken place. And that very day had been “Yom Niqanor,” a festival that commemorated a Jewish military victory by the Maccabees over Niqanor, one of Antiokhus’ generals. 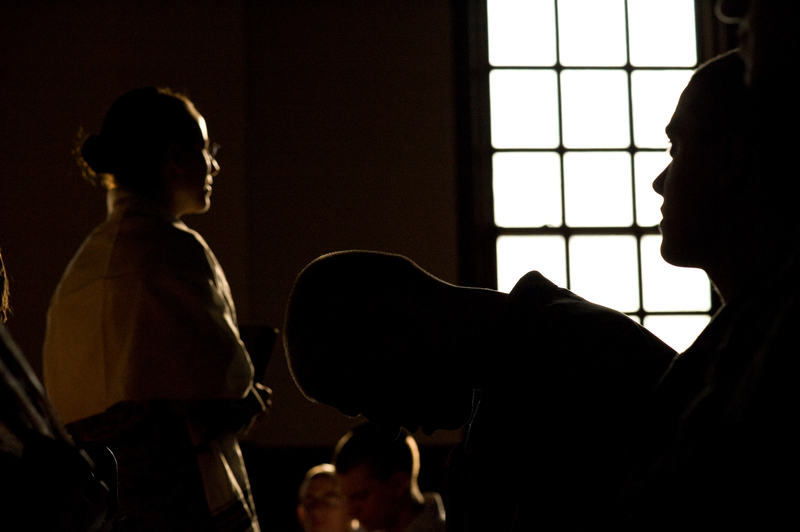 The Rabbis shattered a celebration of victory in war to bring people to quiet inward meditation. Perhaps they feared that Chapter 9:16 of Megillat Esther would one day bring about an Aror Goldstein. Step by step, the machine-gun interpretation of Torah has in the State of Israel been winning. Will Netanyahoo’s invitation to Kahanism at last be the overreach that sends our own Haman to oblivion on his own banana peel? Can the Soul of the People Israel bring a Turning to the Soul of the State? I am relieved to report that almost the entire spectrum of American Jewish institutions, minus the ultra-right-wing so-called “Zionist Organization of America,” condemned Netanyahoo’s despicable support for Kahanism. Still sad that it took this level of governmental betrayal of Jewish vision and values to bring a strong rebuke. 10. In 1995, one year after the massacre, on the evening before the sunrise Fast of Esther, we brought together in our creative Jewish and multireligious neighborhood in Philadelphia, a public meeting in which a knowledgeable Jew, Christian, and Muslim each looked into and spoke about the bloody streaks in her/his OWN tradition. As we approach the 25h yahrzeit of this murderous Purim, especially at this moment in world history, as we look at the rising level of violence “justified” by claims of godliness — when violence from each of our traditions is besmirching the Truth of our roots in the ONE — this unblinking gaze into our mirrors would be valuable. Wherever it is still possible, I suggest that our communities bring together such a conversation. In this way, each of the three Abrahamic communities could face – not through accusation of the other but through self-assessment — our own tugs into bloodshed. And finally, I suggest that Esther 9:16 be chanted in the wailing, sorrowful un-melody of Eikha, the Book of Lamentations. Just as we break a glass at a wedding, a time of greatest joy, on this day of laughter let us recall that even this day bears within it the danger of making even more broken the cracked and dangerous world that we inherit. 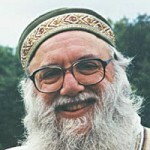 Rabbi Arthur Waskow founded (1983) and directs The Shalom Center, a prophetic voice in the Jewish, multireligious, and American worlds, drawing on the Jewish spiritual and religious tradition in new ways to work for eco-social justice, peace, and the healing of our wounded Earth. “The Presence of an Absence: a Public Reading for the Fast of Esther, the dark side to Purim, by Rabbi Arthur O. Waskow” is shared by Arthur Waskow with a Creative Commons Attribution-ShareAlike 4.0 International copyleft license.